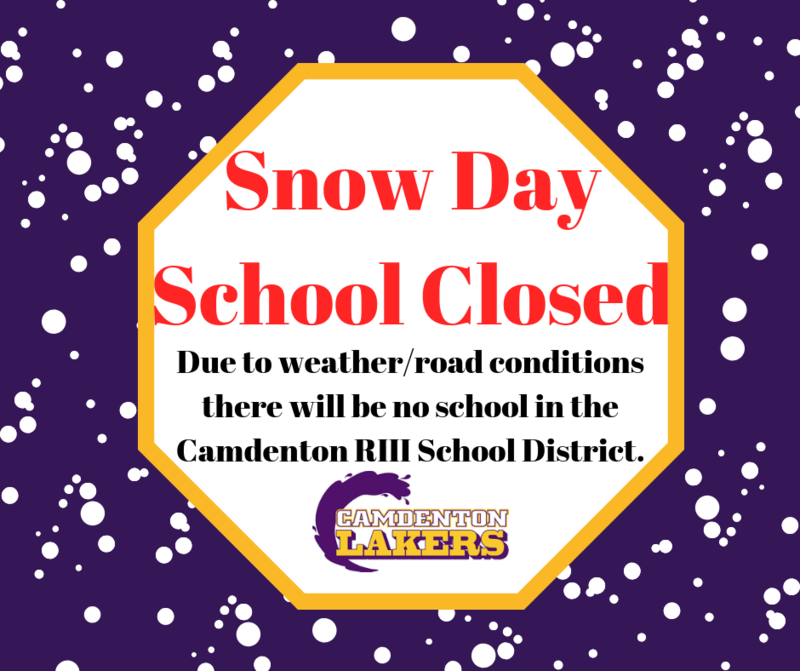 Due to weather/road conditions, Camdenton R-III School District will be closed Wednesday, February 20, 2019. 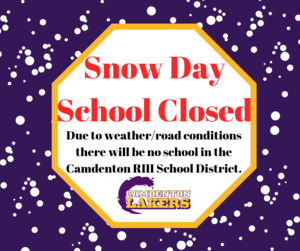 This snow day will be made up on Friday, May 24th. As of right now, this will be the last day of school for the 2018-2019 school year.